The City of Courtenay, sitting on the east coast of Vancouver Island, it is the largest city in the Comox Valley. Courtenay is comprised of City of Courtenay, Courtenay North, Courtenay East, Courtenay South and Courtenay West. In 1872 Pidcock established his mill and begun the first development on the west side of the Courtenay river. Eventually Courtenay’s population had grown from 1700 in 1941 to 2500 in 1951 and by 1953 it was designated a city. In 1960 the 5th street bridge was replaced from when it was previously built in 1923. That same Union Street (now 5th street) bridge built in 1960 is the current steel structure we use today. Today Courtenay’s population is 25,599 people. Courtenay has all major department stores, such as Costco, Walmart, Winners and Superstore, plus most chain eateries. Courtenay’s weather is mild with even seasons. During the summer residents love to tube down Puntledge River, or lay out on a beach. There is always something to do in Courtenay, depending on the season. Downtown 5th street holds many events such as market days and parades. Nearby, at the Native Sons Hall, a farmers market is regularly held. Courtenay is home to many families for many reasons. One being the great selection of Elementary and High Schools, and the programs they have to offer. If you are thinking of moving your family to Courtenay, the average price of a single-family home in Courtenay as of September 2018 is $446,433. 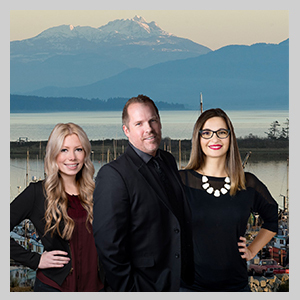 Please contact me if you’re looking to sell your house in Courtenay and have it listed on MLS with every Real Estate Listing in Courtenay, BC.